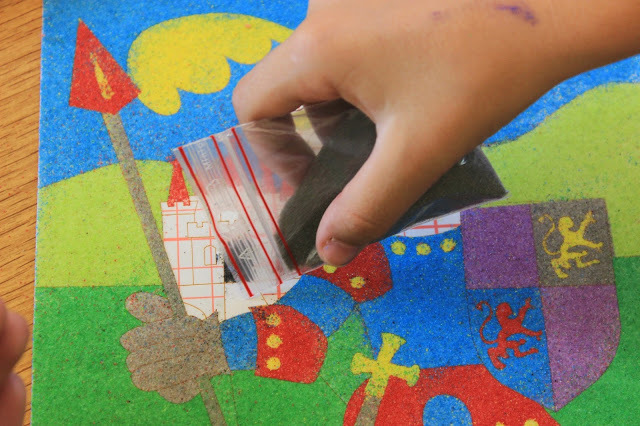 Craft for kids with colored sand with Arenart! 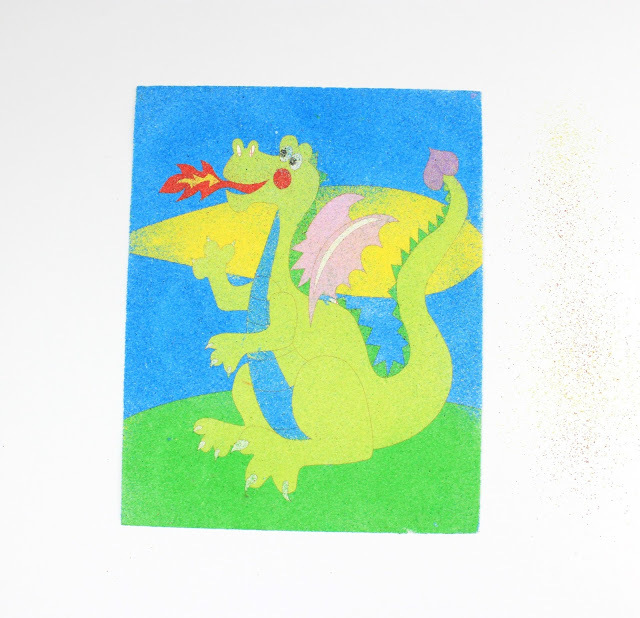 Use colored sand and create your own small masterpieces! One of the lessons we had at school was about crafting and creations. And as you can guess, it was one of my favotites! Every month we were trying a different method of crafting and I was realy in love with the pictures I could do like a mosaic! 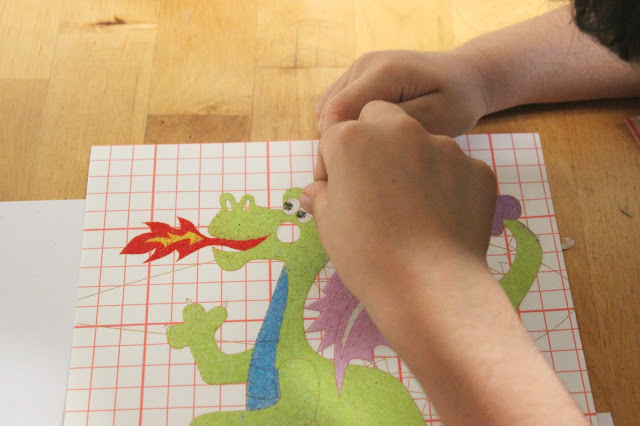 Unfrotunately I could find something this craft for my kids, but I was lucky to find a craft kit from Arenart. Painting with colored sand!!!! I have to admit that this post should be active earlier, since I got this craft kit when the schools were closed and I was trying to find activities for my kids. 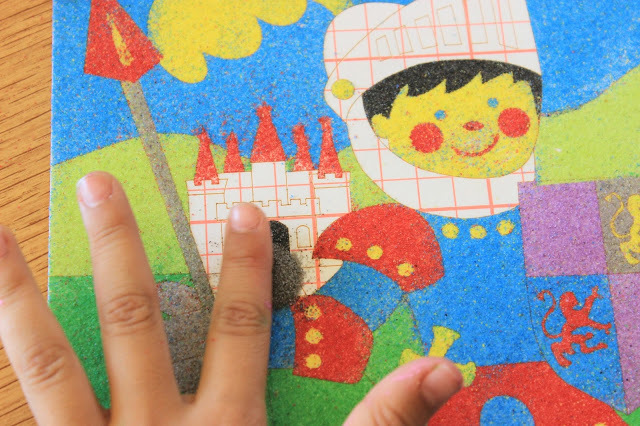 The specific method of crafting it supposed to be for older kids (I am talking for my prince) but I was thrilled that my prince also participated without any problem and he actually loved it. 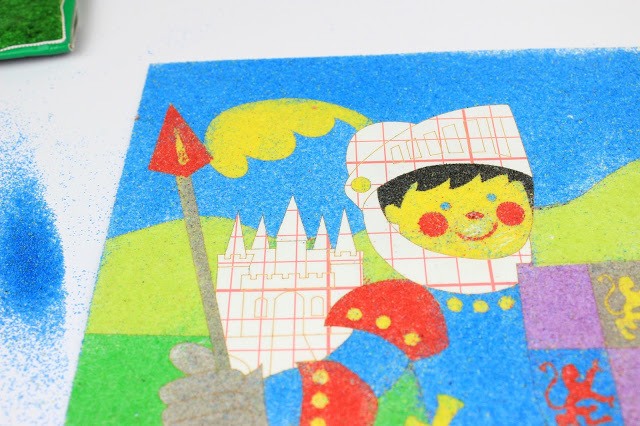 The kit had two precut designs, 10 different colors of sand and a punch. This time we were selected kit for my prince, so a knight and a dragon (we are big fans of the dragons and the dinosaurs!). The procedure is really easy. 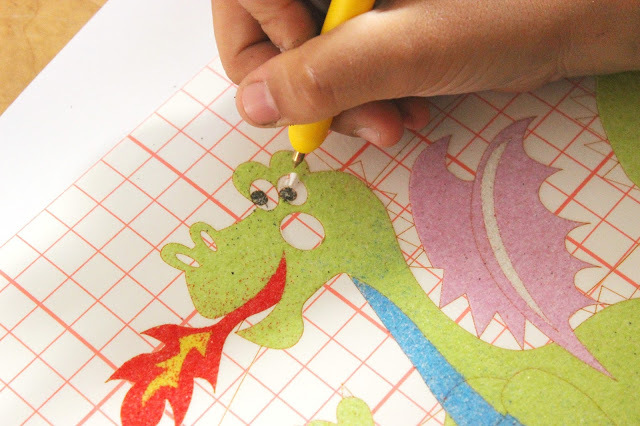 First use the punch to remove from the pre-cut design the piece of paper that you wish to color and then add the sand above. With the hands try to make the sand to cover it beautifully and remove the leftover sand. Conitnue in that way with all the design and you are done! 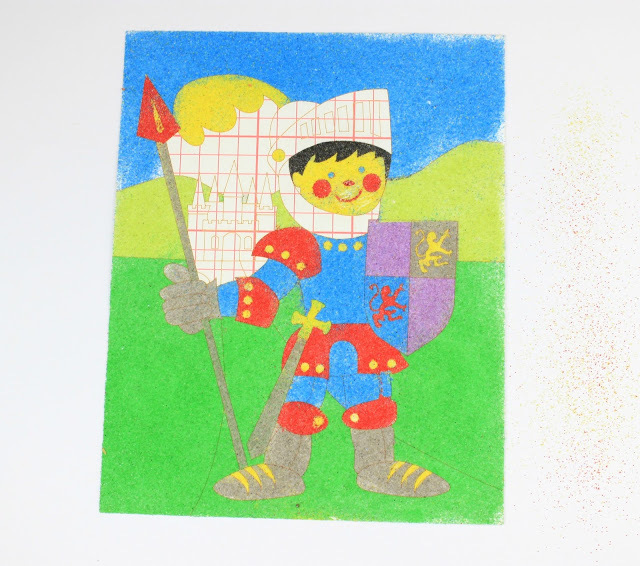 Our knight is almost done, but our dragon is already in a beautiful frame decorating the nursery room. We loved this craft and both of my kids were enjoyed it, so we decided to get oe more, this time for my princess. Afterall what is a knight without a princess??? 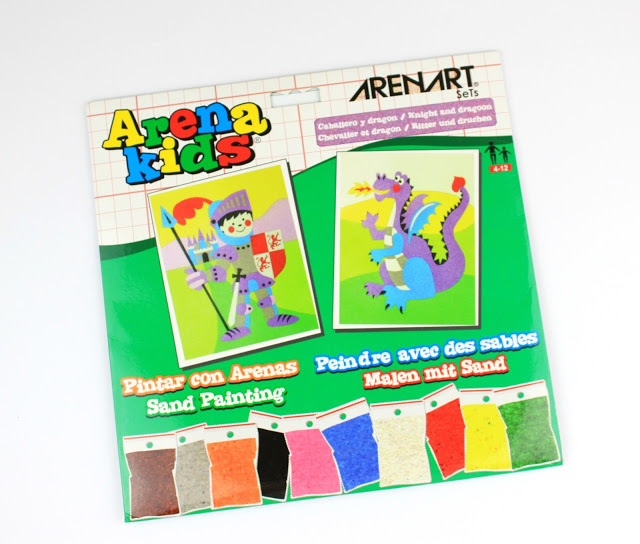 You can find these Arenart Craft kits in Dimiourgise. Just choose your favorite design and I am sure you will enjoy it as we did! είναι η αγαπημένη χειροτεχνία και την Κωνσταντίνας μου! Πολύ όμορφο σετ! Εμένα πώς μου ξέφυγε αυτό; Φανταστικό! δεν ηξερα καν οτι υπήρχε κατι τετοιο!πρωτη φορα το βλέπω! ειμαι σιγουρη ότι θα ξετρελάθηκαν τα παιδια! Πολύ όμορφο και εντυπωσιακό. Θα αρέσει πολύ στα παιδάκια μου αυτό. Πρέπει να παραγγείλω μερικά! Εξαιρετικό Ζήνα μου! Και αν σου πω ότι έψαχνα ένα τέτοιο για την μικρή μου που είναι εντελώς καλλιτεχνική φύση! Εντάξει, έχει και δράκο καταλαβαίνεις ότι το λάτρεψα!! !